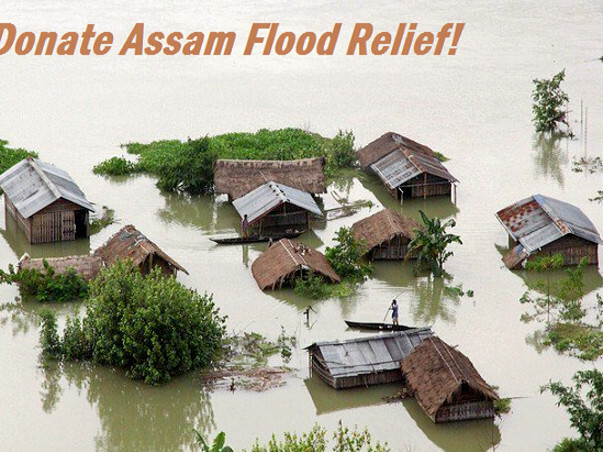 Assam Floods – Urgent Appeal for Help! The incessant rains and overflowing rivers have caused heavy flooding and landslides in Assam. Over 15 Lakh people have been affected. Thousands of villages are reeling under water and more than 1 Lakh hectares of cropland have been damaged. The flood water also widely damaged the houses, schools, bridges and road links across the state. Thousands of animals especially cattles have died and there is a possibility of an epidemic. We request you to support this campaign and share with your friends and family. We will provide regular updates explaining how the money has spent on the ground. Thank you so much. Floods have forced thousands of people to take Asylum on the Roads and Riverbanks. Vulnerable communities like children and old age are facing greater threat. We are trying our best and our team rapidly delivering the lifesaving relief supplies to the people, those who are in desperate need of assistance. 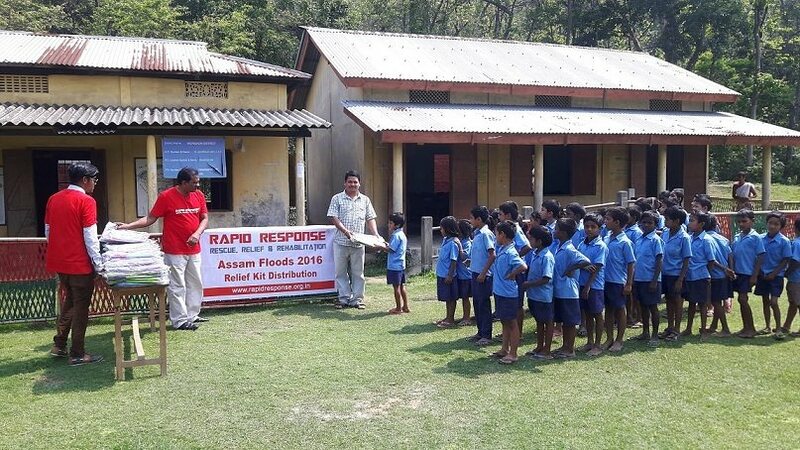 We are forever grateful for all your support and cooperation in helping the people of Assam. Thank you! Thank you so much for your generous support. 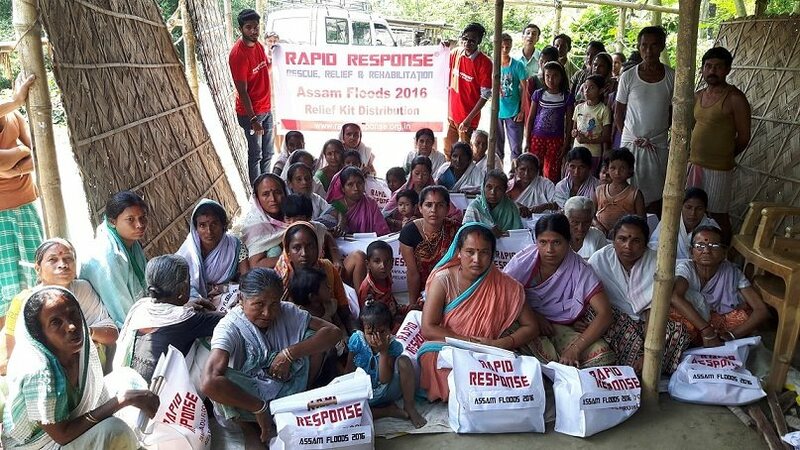 Our team on the ground is busy with rescue and started the distribution of food, water and milk powder in the worst affected villages of Morigaon district. As most of the areas are marooned, our team using boats for distribution. We will get back to you as soon as possible with more updates and photographs. Considering the scale of the disaster and the ground situation, thousands of people are in desperate need of life saving relief supplies. At somehow we have to reach-out and help them as much as possible. We sincerely request you all to spread the word and motivate others (friends, family and corporates) to support this campaign. Thank you very much for your support and cooperation.